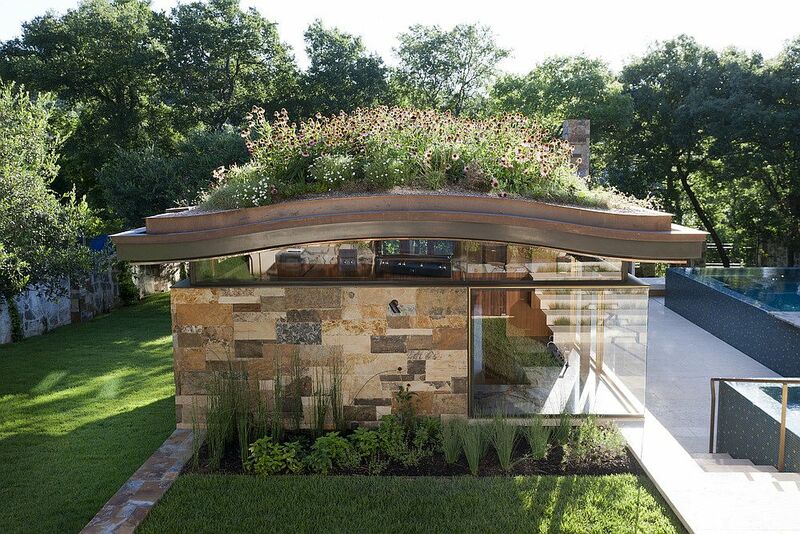 One architectural feature that we believe should definitely catch on quickly with homeowners across the globe is the gorgeous green roof! 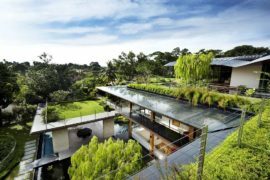 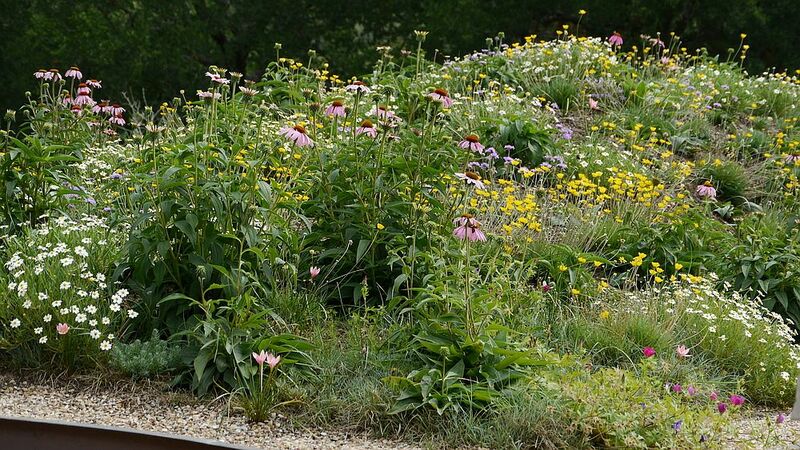 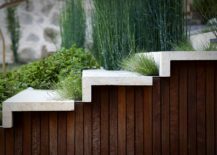 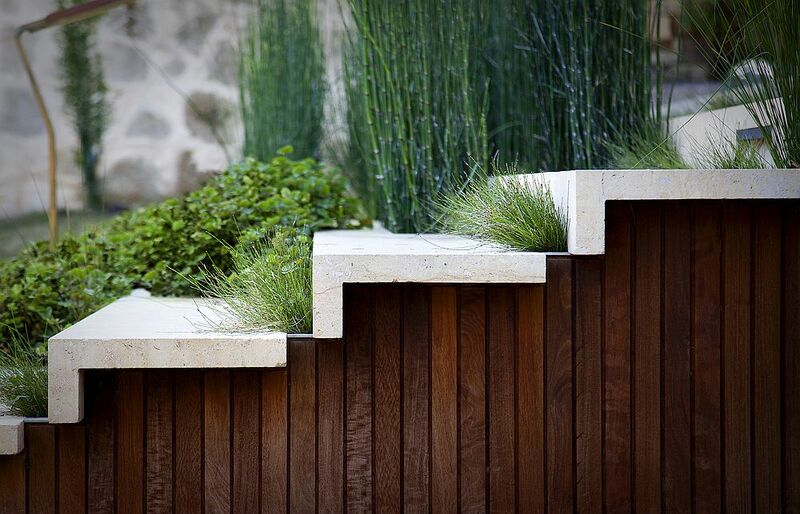 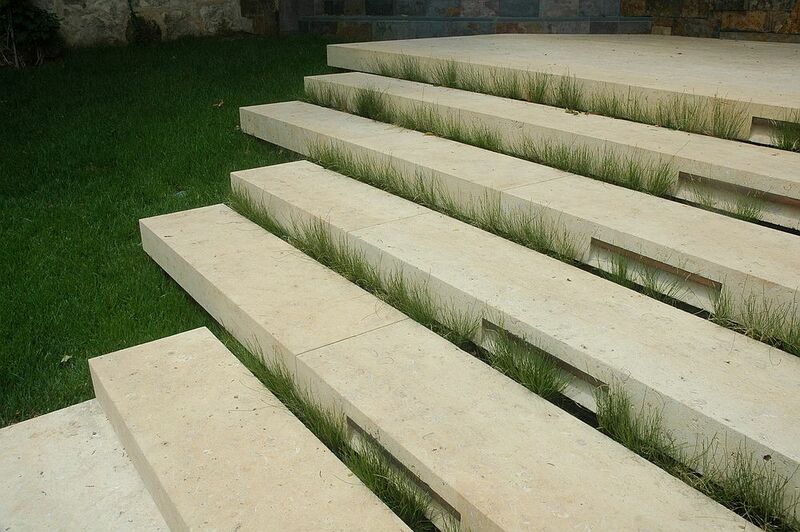 Living roofs might not be practical in every region of the globe, but wherever possible and whenever used, they make a big difference to the structure that they adorn. 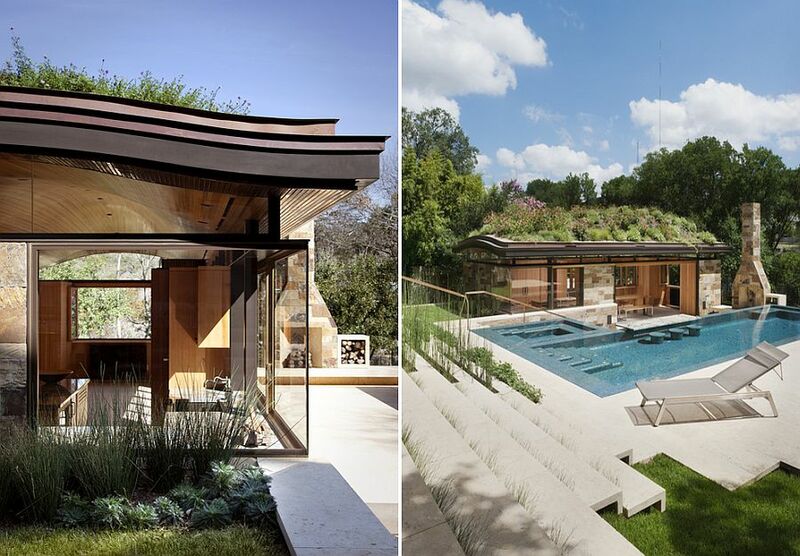 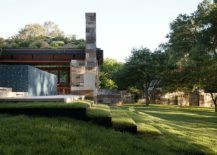 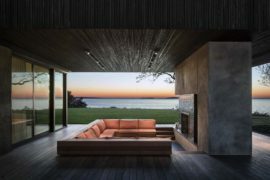 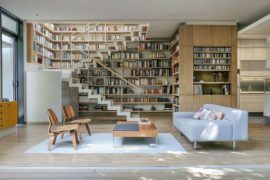 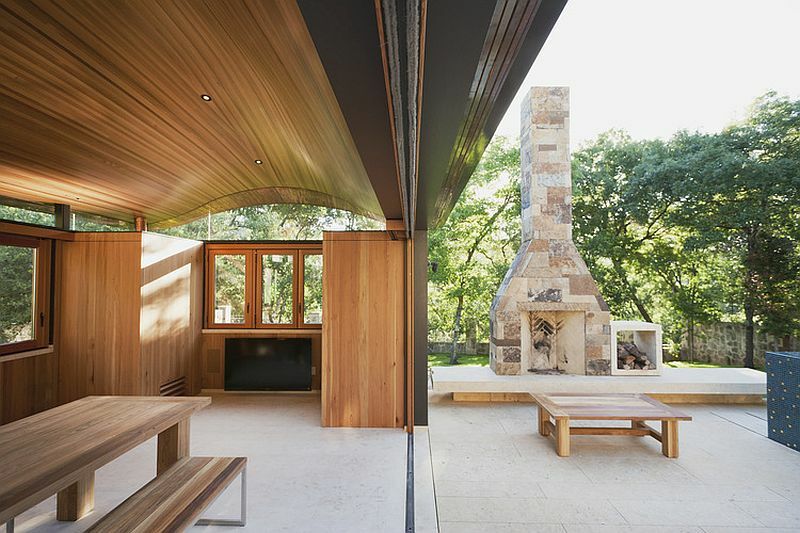 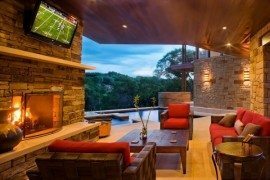 And we are not talking about ecological impact alone; green roofs also add to the aesthetics of a structure and this dashing modern pool house in Westlake Hills, Texas is another perfect case in the point. 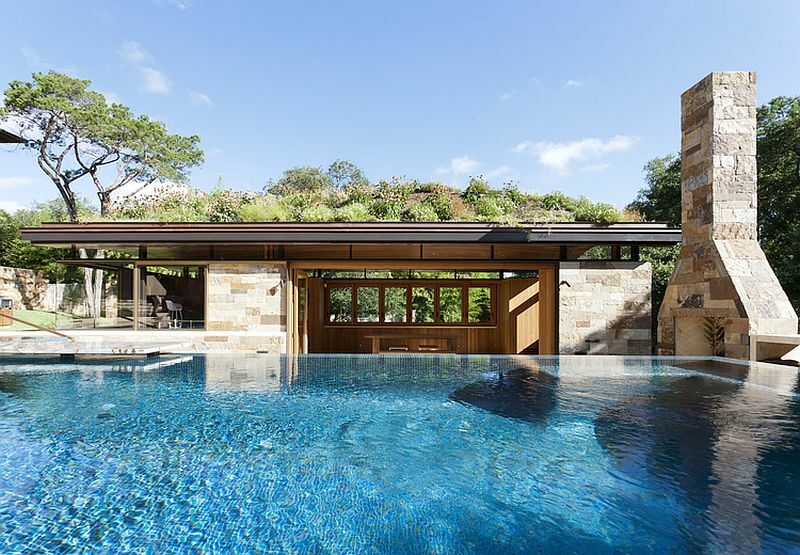 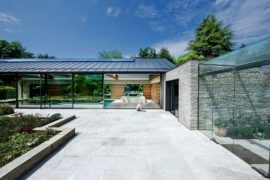 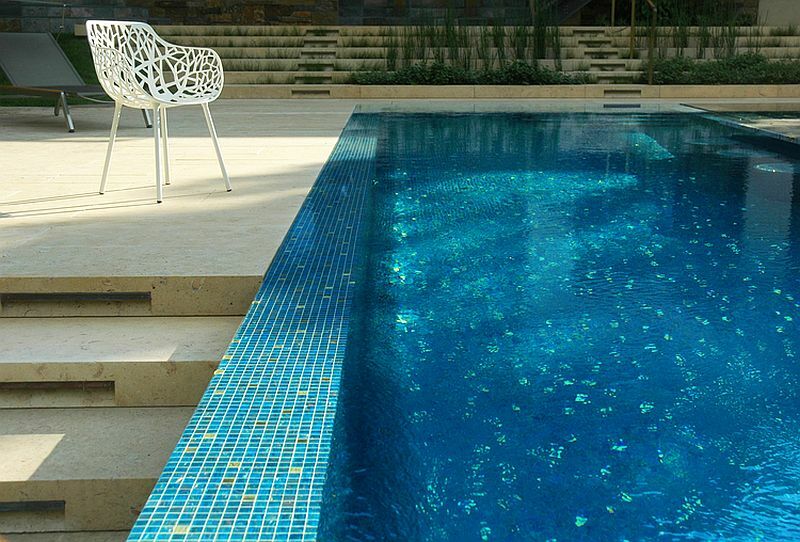 Designed by Murray Legge Architecture, this lovely pool house sits next to an expansive outdoor hangout, swimming pool, spa and green landscape. 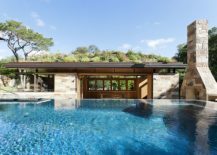 Sitting next to an infinity edge pool, the spacious pool house contains an informal dining space along with a full-fledged kitchen and other private spaces. 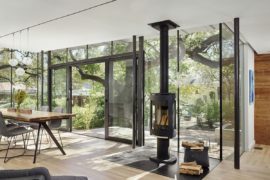 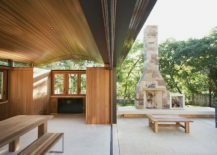 The dining area flows into the terraced garden and pool deck outside thanks the use of large, sliding glass doors that seamlessly connect the interior with the outdoors. 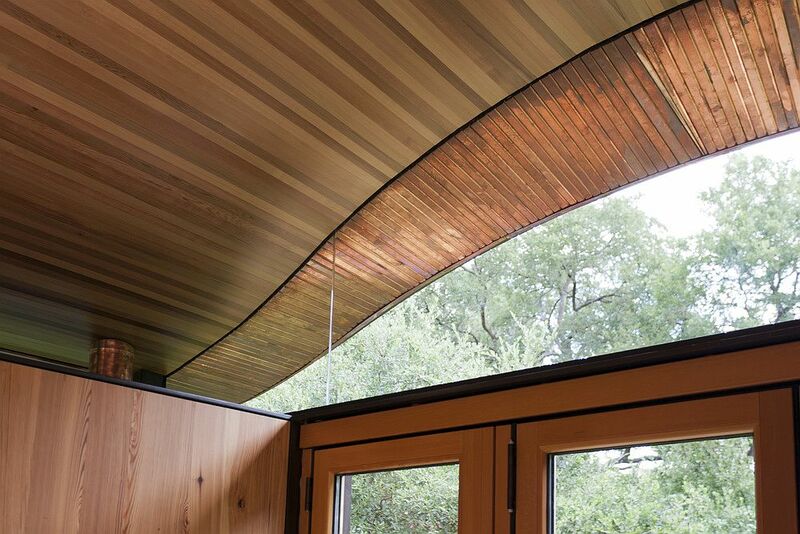 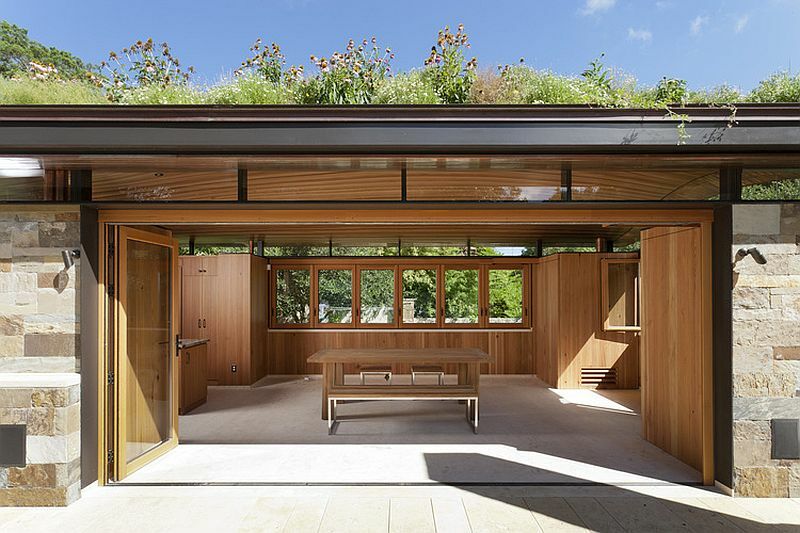 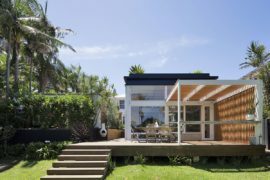 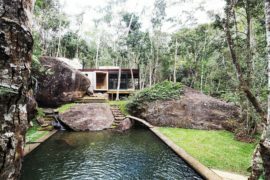 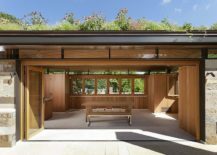 As far as the green roof itself, architects had to request the city for special permissions as existing construction and water drainage norms simply did not permit for the lovely addition.